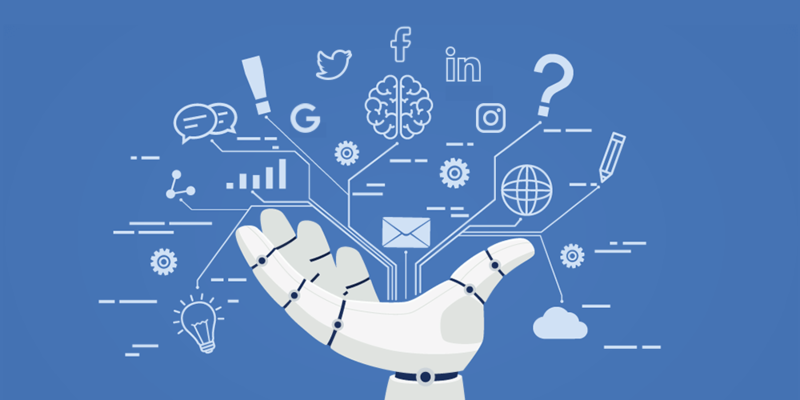 How Artificial Intelligence Drives Digital Marketing? Today’s digital marketing agencies can access many kinds of data from any network. Think Facebook and Twitter. Their marketers have the job of sorting through vast amounts of “unstructured data,” and it could overwhelm them, says Forbes.com’s John Ellett. The solution is not putting more marketers on the case. Instead, companies can use digital marketing tools powered by artificial intelligence (AI) and decide how to make the best use of this data. As a social media marketing agency, we offer the example of the trends you could draw from the number of Facebook likes received on each social media posts. Standing alone, the number of likes on a single Facebook post doesn’t mean much. However, if this piece of data feeds into an algorithm that uses activity levels on all website pages, blog pages, and social media pages, it then becomes important. The point is that your company could use AI tools to make decisions based on what consumers do on social media, but you need logic and direction driving how your company interprets consumer patterns. This raises many questions. You wonder which metrics to choose. We look closer into Ellett’s piece to find out what companies are using. Ellett interviewed Lux Narayan, CEO of Unmetric, which is a company specializing in social media metrics, on this subject. Narayan says, “The whole social space has a lot of noise. It’s very difficult to disambiguate one company from the other. But I think there are distinctive patterns in what companies do. And indeed, in where they’re starting to deploy AI within each of those subdomains. More specifically, they fit into six broad areas within social.” Narayan points to these six areas: content creation, consumer intelligence, customer service, influencer marketing, content optimization, and competitive intelligence. We decided to dig deeper into the area of content optimization for examples of tools companies can use. Searching the Web for different examples of companies using social media tools based on artificial intelligence was enlightening. We came across companies that specialize in doing all of the trend analysis for a company’s social media pages, including how its pages outperform or underperform its competitors’ social media pages. In this way, marketers no longer have to monitor spreadsheets before determining which content performs the best. CORTEX says that it will work with your marketing team and save them an average of 8.5 hours per week. All your company must do is tell CORTEX your marketing goals, upload the requested content, and let this AI-based tool operate autonomously. Then your team must access the application to determine which content is performing. The app will suggest which kinds of content (including text, pictures, and video) to combine to get better results from customers. It’s important here to take a step back and analyze what tools like CORTEX offer to marketers. Any company can claim to have an algorithm. They can package their application as using “machine learning” or as being an “AI-based” tool. However, before your social media marketing agency helps you choose the right SMM content optimization application, you want to determine what methodology drives the app. How does the robot make decisions? What are the data points that are used in the algorithm? Does the artificial intelligence tool use real-time data, past data, or a combination of both kinds of data from your social media pages to make decisions? 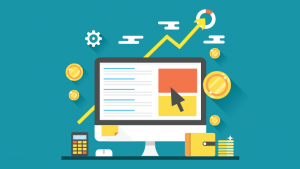 We can explain the reasoning behind any content optimization tools we add to your marketing campaign, not just list the results that it will produce for your brand. We considered other kinds of AI-based tools that companies use to optimize their content, which includes increasing the level of user interaction for each item they post on their site. The chatbot is how some companies now collect more data from site users. This kind of application requires users to respond. They may click on different things to indicate choices, but they may also enter text in a chat-style dialogue. Whenever customers or prospects type information requests or explanations of what they need, they are giving an AI-based application information that can be analyzed. The bot can look for patterns in the text to predict what a site visitor wants and then deliver content appropriate to that person. We learned that the chatbots have not just changed how modern brands do business. Chatbots are also driving agencies in the public sector towards the greater use of AI. The AI model is expected to help government agencies become more efficient. According to the Brookings Institution’s Kevin DeSouza and Rashmi Krishnamurthy, “First, agencies are reducing employees’ workload and response times by delegating mundane and routine tasks to chatbots, saving human labor for more technical and nuanced tasks. For instance, North Carolina’s Innovation Center (iCenter) is piloting chatbots to free up internal IT help desk personnel from answering mundane queries (e.g. password resetting).” The iCenter discovered that 80 to 90 percent of people contact the help desk for aid in recovering passwords and IDs. Companies also use chatbots to have conversations with customers and to make decisions on their behalf, according to Chief Marketer. “Chatbots generate richer data than simple page analytics. On top of click data and visit times, bots can gather intelligence on customer sentiments, needs, and engagement. That’s essential information for turning one-time buyers into repeat customers, which costs five to 25 times less than acquiring new ones.” Chief Marketer recommends that companies start using a chatbot while the concept is still fresh in the minds of consumers. We see this as a part of a future where you could design different chatbots for your site to collect the specialized types of information that your marketing experts want. First, there could be a customer service chatbot on the main site that asks customers to submit routine information requests (i.e. how to retrieve their account number) and to provide routine responses. Other parts of the site could feature chatbots that ask customers about their experience using an app or a website feature or that gauge their interest in future products or services, which would be very useful for the R and D department. The future of social media marketing seems to be that companies will pay for use of a marketing stack like Amazon’s Alexa. This could seem like too comprehensive of a product for a small business owner’s needs. That being said, companies use analysis of the performance of many web pages and social media tools to predict what consumers want. Alexa claims that you can enter any website into your web browser and instantly find out the site’s metrics. With Alexa, you can also use a competitor keyword matrix to track how each of your competitors’ pages performs for a specific keyword when compared with your company’s pages containing that same keyword. We want to help companies decide whether they need content optimization tools like CORTEX or to add a chatbot or another social media type tool to increase their level of interaction with customers and prospects. We help you choose the right tools based on the potential of each to achieve your core marketing strategy. Remember, social media marketing is just one component, but it’s an important way that customers find your brand.